Andrew McEvoy is a highly qualified Board Director, investor and business owner with more than 20 years’ experience in the tourism, travel, media, marketing and events sectors. Andrew is the owner and founder of We Connect China, a business designed to help Chinese companies be successful in Australia, while also helping Australian companies find a consumer audience in mainland China. 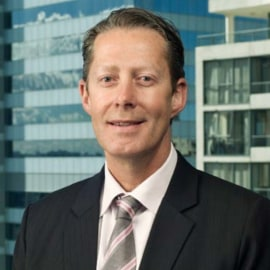 Andrew is also the Chairman of the listed Sealink Travel Group, is Chairman of the Adelaide Riverbank Authority and is a Board Director of the Lux Group - owners of Luxury Escapes. He is an adviser and investor in several technology companies including Roller Digital and Fintech startup Lodex. In his more than 20 years in the tourism industry, Andrew rose to be the Managing Director of Tourism Australia - Australia's peak tourism body. During his tenure, he established the Tourism 2020 Strategy (aimed at doubling overnight expenditure), helped the industry capitalise on growth from Asia, and took a more commercial approach to relationships with airlines - the lifeblood of the Australian tourism industry. Prior to starting We Connect China, Andrew was Managing Director of the growing Fairfax Life Media and Events business, including lifestyle publishing and Australia's largest consumer event business.